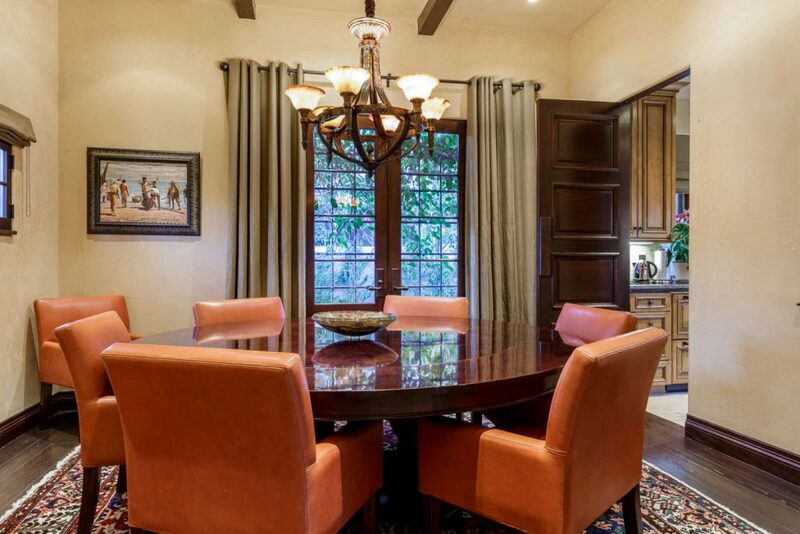 A short drive from The Huntington, the Langham Huntington Hotel and exquisite Lacy Park, this fully furnished home at 2466 South Oak Knoll Avenue is the height of easy California elegance. Every meticulously renovated space is rich with period elements, from luxury finishes and high ceilings to rare Honduran mahogany doors and gleaming marble and hardwood floors. All tile is from Mission Tile, nickel plated faucets and sinks are by Waterworks, and solid brass knobs and handles are from Rocky Mountain Hardware. This is an unforgettable setting for entertaining, centered around a private central courtyard with fireplace and fountain. The inviting formal living room has beamed ceilings, French doors and a double-sided fireplace; a formal dining room and a family room complete the picture. 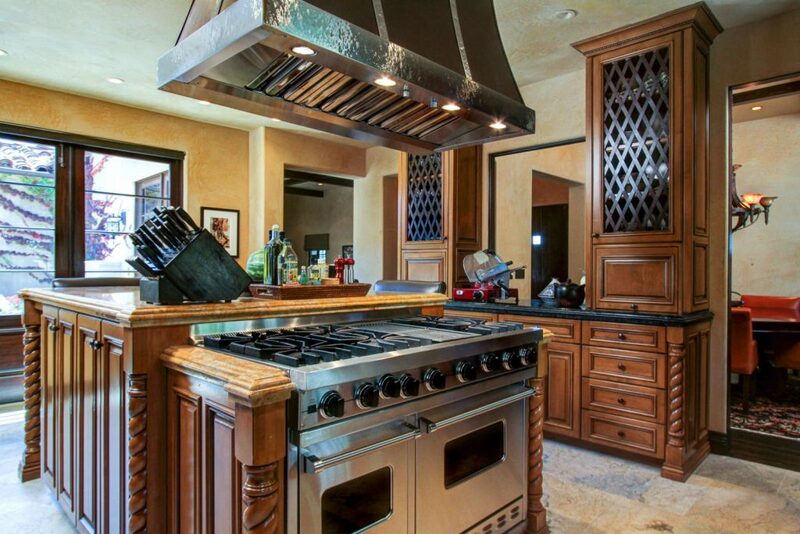 The heart of the home is a glorious chef’s kitchen with granite counters, high-end appliances and custom cabinetry. There are three bedroom suites plus a separate guest quarters. All rooms are wired for sound, with in-ceiling speakers, bedroom and bath volume controls, and Apple TV in every room. The master suite, den and a rear bedroom suite open to patios overlooking the grounds, which feature a spacious entertainment patio, pool, outdoor kitchen with high-end appliances and granite counters, organic garden and fruit trees. The villa is equipped with three A/C zones, two tankless water heaters, a security system with 13 security cameras, an automatic wood driveway gate and paver stone driveway, and a two-car detached garage. 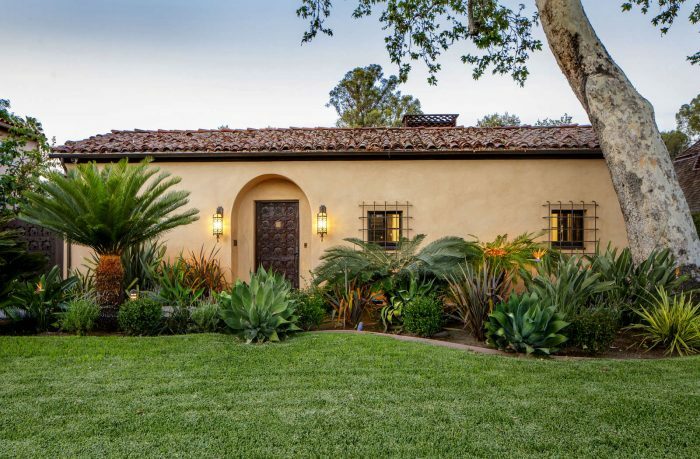 This San Marino treasure is listed by Tom Flanagan at $2,800,000.